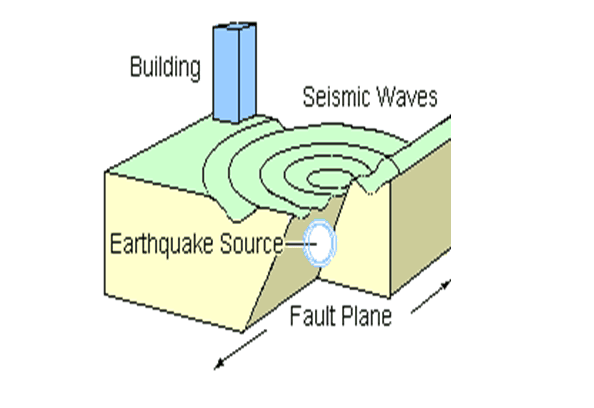 Earthquake is a sudden tremor or movement of the earth’s crust, which originate naturally at or below the surface. It is the result of a sudden release of energy in the Earth’s crust that creates seismic waves. The weight and rigidity of a structure must be uniformly and symmetrically distributed to the plane of symmetry passing through the centre of gravity. The proportionality requirements must be met by the building dimensions i.e. the length and height of the building should not be too great. The structure must be light, as practicable and have its centre of gravity as low as possible. Desirable tough, light and elastic material be used which have uniform properties. In the vertical and horizontal planes the load carrying elements must be coupled to form closed contours. The foundations of earthquake resistant buildings must be firm and have enough depth.